Welcome to Interlay Driveways Ltd our team have several years experience in design and build all types of driveways and patios. Based in Birmingham we cover Birmingham, Solihull, Stourbridge, Warsall, Dudley, Kiddiminster, Kings Norton and Kings Heath. We offer free non-obligatory quotes, free estimates, free site surveys, free design and planning even free advice. "Not long after we purchased our house we excavated the high level garden to give us more drive space, however we have lived with a very unsightly rubble drive for a number of years. We hired Interlay Driveways to rebuild a couple of walls, render existing walls, rebuild steps leading to our front door and resurface the drive with Tarmac. Denis and his team have completely transformed the front of our property. They kept us informed what was happening at each stage and made sure we were happy with all the work they were carrying out as they went along. The whole team were very friendly, polite and hardworking. We are really happy with the end result. 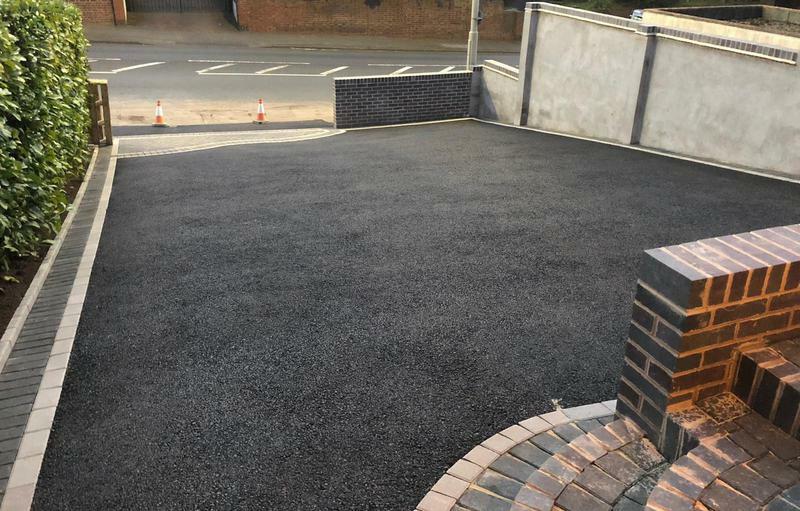 All work was carried out to a very high standard with high quality materials and the driveway now looks fantastic! We would recommend Interlay Driveways to anyone without hesitation & hope to hire them again to improve our garden. Give them a call now!" "Excellent work, very tidy, nice team. Highly recommended."